Become a smart money manager, eliminate debt, save more, and maximize your dollars with these simple personal finance hacks. It’s easier than you think! What are Personal Finance Hacks? Just like life hack strategies that help you manage your day more effectively, personal finance hacks are techniques to improve your financial situation and help you save money. No matter what your situation is, whether you are living paycheck to paycheck or want to feel more financially secure, there is a personal finance hack for you. These hacks don’t have to be difficult. In fact, a few simple changes can have a greater impact on your financial future than spending countless hours per week clipping coupons! Even if you've had some money missteps in the past, these hacks are totally doable, and they definitely don't require an MBA in finance or becoming a hermit who lives on cereal and Ramen. Did you know you can actually make a profit by spending strategically? Rewards cards offer everything from cashback to gift cards and merchandise to travel perks. If you consistently pay your card balances in full each month, you should consider introducing a rewards card to your wallet. When selecting a card, think about your spending style and the types of rewards that would most benefit you. Then, take the time to learn the ins-and-outs of the program so you can maximize it. "Obviously you shouldn't, say, buy all new furniture just to get a $500 plane ticket. 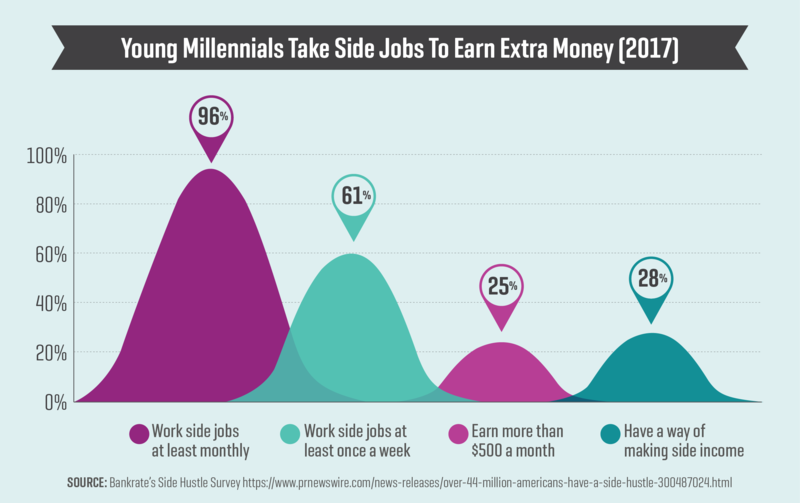 But if you're going to spend this money anyway on a planned major purchase, you might as well get rewarded for it," writes Sophia Bera, founder of Gen Y Planning. Not all rewards cards are created equally, but we're sure the right one is out there waiting for you. In addition to credit rewards, you can also score more dough by starting your online shopping session at a cashback portal, which can get you up to a double-digit percentage back on your purchase. "You can stack tools like online shopping portals, store loyalty programs, rewards credit cards and coupons to get the best deal," says personal finance expert Jean Chatzky. Some to try include: Ebates.com, ShopatHome.com, and BeFrugal.com. If you don't think it's worth the effort of opening new cards or joining cashback programs, consider this: Consumer Reports did a study that found the average family can earn $3,150 in cashback in three years just by strategically switching up the way they pay for purchases. 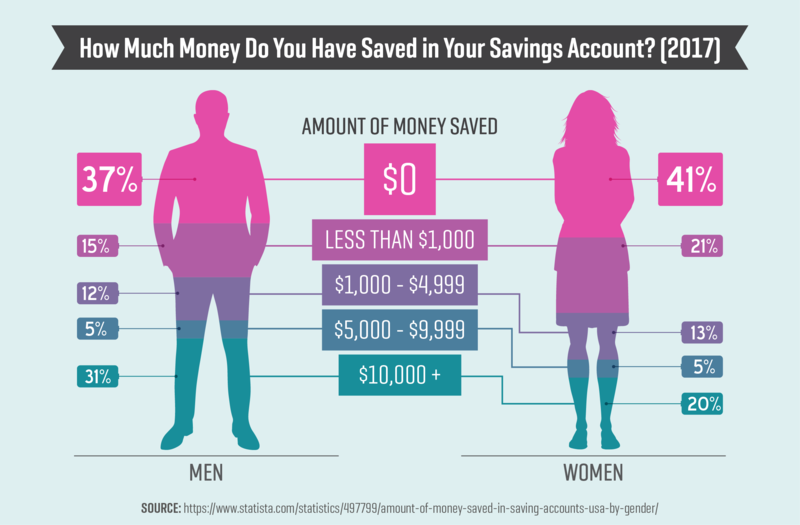 Oftentimes, we forget to pay a bill or never get around to making a contribution to our savings account. It's not because we are irresponsible or clueless—sometimes life just gets in the way. Consumers paid $11.5 billion in penalty fees on their credit cards in 2015, according to R.K. Hammer Inc., a consulting firm that specializes in the payments industry. By setting up your accounts so that the minimum payment is made automatically, you can avoid such fees (and a negative hit on your credit report). Use a two-account system to automatically transfer money each time you are paid from your checking to savings account. Tanza Loudenback, personal finance writer for BusinessInsider.com, says apps can help take the boring out of budgeting. Once any of these are set up, they will give you insight into your spending patterns to help keep you accountable. "By setting up a bulletproof personal finance system, you can start to dominate your finances by having your system passively do the right thing for you," says Ramit Sethi, author of "I Will Teach You to Be Rich." And, he adds, once you're all set up, you will only have to spend an hour or two on your finances per month. Looking for more personal finance related apps? Check out my guide: 8 Apps to Help You Manage and Improve Your Bad Credit. There are two main ways to increase your bank account balance—earn more, which is often out of your control, or spend less, which you can control. This hack is all about spending less. Shop around. Especially for services like car insurance, you should periodically get quotes to see if your current provider is on par with other market prices. Call your creditors and banks to ask for interest rate reductions. If you've been a good customer, they may say yes. Contact your cellular and cable providers to see if you're eligible for any new promotions. Ask for a supervisor and threaten to change providers to increase your odds. Ask for a reduced price match based on an online sale, or competitor's price. Request a discount for a floor model or slightly damaged item. Time your purchase for when a store is about to close (and salespersons are more eager to close a sale). Make a customer service complaint, if warranted. Speaking up about poor service can often score you a purchase credit. A Consumer Reports study found that successful furniture hagglers saved $300 on average, while those who challenged their cell-phone plans saved $80. If you've got the guts to ask, it can pay off. I've summarized two powerful ways to save above, but there are hundreds more. If you haven't already, you have to read (and take advantage of) my 5 Steps (and 50 Tips) to Stop Living Paycheck to Paycheck. Every great idea you can imagine to save, earn, and budget your money is there! Your first big goal: to earn interest rather than pay interest. That's because there's nothing that stifles progress more than high-interest debt that requires paying large sums of money each month but barely moves the needle on what you owe. Debt consolidation could be the answer. It lets you combine all of your debt under one roof to make it more manageable, and ideally will lower your interest rate and make it less expensive to pay off. It's worth noting, however, that debt consolidation is not ideal for everyone. "It is only effective if you have the right financial circumstances," writes Adam Tijerina for NationalDebtRelief.com. This includes having a stable source of income, the required credit rating for the product you're seeking, and discipline to not dig the debt hole even deeper. If you meet those criteria, it can be a great option. There are lots of options, but here's a closer look at three popular routes. Whichever route you take, be sure to factor in fees, interest rates (if they're fixed or variable), terms (how long you have to pay off the loan), and other fine print. Consider this: If you have $10,000 in credit card debt and are paying 15% interest annually, a 12-month, 0% credit card balance transfer could save you $1,500 over the course of a year," explains Lynnette Khalfani-Cox, a personal finance writer with AARP. Plan of attack: Figure out how long the introductory period is, and divide your balance by that many months. Remember: Everything you pay is going toward the principle, so you are actually making a dent with every payment. Watch out: Balance transfer fees of around 3% are typical, so don't forget to factor that into your calculation. "You can likely reduce the amount of interest on your debts significantly by using a personal loan," writes Philip Taylor, founder of PTMoney.com. And, as long as you have a good credit score and steady income, you can probably get approved for one from a bank or credit union, he says. Check out these eight vetted companies to apply for a personal loan from. Plan of attack: Put every penny you can toward paying off that loan. And don't start using the credit cards that you just freed up either! Watch out: Shop loans carefully to make sure you're getting a good deal. 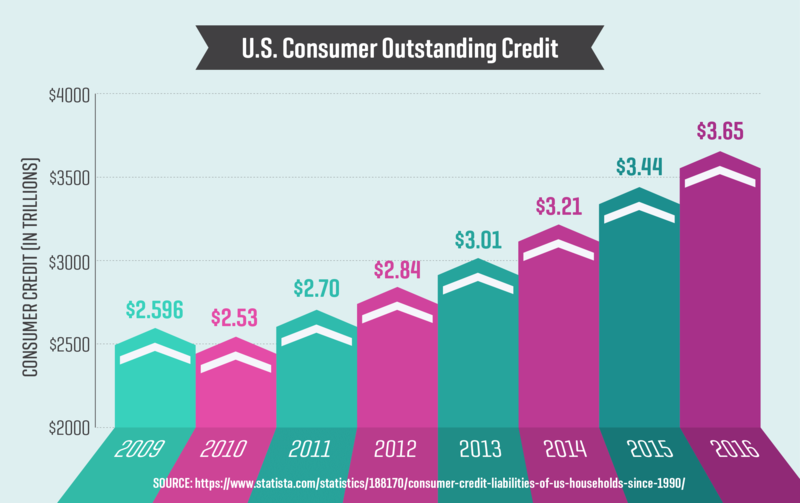 If your credit isn't great, you might not qualify for favorable rates. A home equity loan is a fixed rate loan—meaning your interest rate will never change—that you borrow against the equity of your home. The pros are that interest rates are usually among the lowest you'll find, and the interest you do pay is potentially tax deductible, explains Jim Wang, blogger for WalletHacks.com. Of course, you'll need to actually have enough equity in your home and good credit to qualify. Plan of attack: Although the one minimum payment will be lower than it was when you had multiple bills, pay as much as you can each month to accelerate the payoff. Watch out: Remember, this is a secured loan, meaning your house is being used as collateral. If you don't pay back this loan, you are jeopardizing your home. Sometimes the only thing standing in the way of financial success is being set in your own ways. "The key difference between people with consumer debt and those without, everything else being equal, is that the person with no consumer debt has mastered delayed gratification while the person with consumer debt has not," says Lance Cothern, CPA, and founder of MoneyManifesto.com. The ability to wait to buy something after you've saved up, or investing money today to have money when you retire are two great examples of this in practice. In other words, don't upgrade your lifestyle every time you have a few extra bucks. Instead, use windfalls and pay-raises to pad your emergency fund, increase your retirement or college investments, or invest in your personal growth. As personal finance writer, Jill Krasny writes, "Do your portfolio a favor and stop keeping up with the Kardashians." Millionaires spend, on average, 8.4 hours a month managing and planning out their finances, according to research by business theorist, Thomas Stanley. If you've read this far, you're already devoting time to educating yourself, you're well on your way! Most wealthy people get rich slowly by gradually increasing their earning ability, saving more and more from their income, and investing it carefully and intelligently so that it grows and compounds over the years," writes Brian Tracy, the famed professional development coach, author, and speaker. "You must do the same." You don't have to pinch pennies and sacrifice every bit of fun in your life in order to set yourself up for financial success. In fact, once you start applying these simple hacks to your finances and your banking and investment accounts start to grow, you'll be encouraged to keep going. You'll no longer be at the mercy of debt. Removing the weight of financial burdens is liberating. Your dollars will work harder for you. You work hard to earn income, so why give your money away so easily? Squeeze the most value you can out of your dollars. You'll conquer all your financial challenges. Learning from past mistakes and managing where your money goes means you'll be better prepared for what the future brings. Although it might seem like a lot to think about, even picking the hack that's most doable for you right now is a great start. Give it a try—you won't regret it! What's your favorite financial hack?